Purchase of this card constitutes acceptance of the following terms: The balance on this card is solely a liability of Walmart Stores Inc., in the U.S. and Puerto Rico. 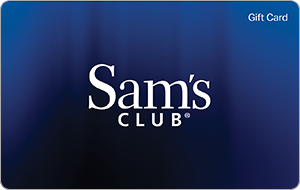 To use at SAMS CLUB�, the holder must be a SAM�S CLUB member or a 10% service fee will apply except where prohibited. Shopping card value may be applied toward annual Membership. This card cannot be redeemed for cash except in those states that require redemption for cash. Lost or stolen cards cannot be replaced without original receipt. Snipp Interactive Inc, is not affiliated with Wal-Mart Stores, Inc. or Walmart.com. The services, products, or activities of Snipp Interactive Inc, are neither endorsed nor sponsored by Wal-Mart Stores, Inc. or Walmart.com. Wal-Mart and Walmart.com gift cards are sold by Giftango, an authorized distributor of Wal-Mart and Walmart.com Gift Cards. WALMART, Walmart.com, the WALMART logo, the WALMART.COM mark, the SAM�S CLUB mark, the SAM�S CLUB logo, and the SAMSCLUB.COM mark are trademarks of Wal-mart Stores, Inc., or its affiliates. See http://help.walmart.com/app/answers/detail/a_id/57 for complete gift card terms and conditions.